Can you improve the air quality inside of your car, truck, SUV or hybrid? If you mean, reduce pollen and dust, you bet you can… with a cabin filter. There are several types of filters in your vehicle: oil, air and cabin are common ones you may have heard about. Many of our customers suffer allergies, hay fever and asthma and springtime, after the first rain or two, is usually brutal for people in terms of “breathe-ability”. 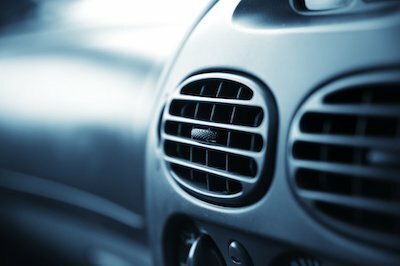 One key element to keeping your vehicle’s interior more clear of dust and pollen is to inspect and change the cabin filter. If you suffer from allergies or asthma, toward the end of winter/beginning of spring is a great time for replacement. And consider paying attention throughout the season to whether or not there are a lot of flowers and trees in bloom. Lots of sun and rain make things grow and bloom, and the more pollen and dust there is in the air, the faster the cabin filter gets “plugged”. Cabin filters are usually accessed behind or around the glove box on the passenger side. If they get plugged, it restricts air flow into the cabin area. A plugged cabin filter can also cause more stress on your blower motor causing premature wear. Cabin filter replacements are usually recommended at 15,000-20,000 miles but if you have asthma, allergies or hay fever you may consider doing it more frequently to keep you and your family breathing easy while you’re all on the road. Schedule your next service with us now.